The HTC One M9 is one of the best engineered Android Smartphone that directly competes with the Apple iPhone in terms of built quality, craftsmanship and rigidity. The aluminium unibody design of the HTC One series has improved so much and became really popular that other globally leading Android Smartphone manufacturers like Samsung also have now begun to bring aluminium unibody design to some of its Smartphones. Even the screen of the HTC One M9 is well-protected, thanks to the Corning Gorilla Glass 4 protective layer, and also credit goes to the sapphire coating over the protruding camera lens over the back. Overall, the HTC One M9 is one hell of a phone that can take quite some falls, scratching attempts and so on. However, as the HTC One M9 is a premium priced Android Smartphone, not everyone would take a chance to scratch or drop their HTC One M9. Hence, most people would prefer to go for the best protection for falls and scratches for their HTC One M9, which include a heavy duty case. And if you are in search for a heavy duty case for your just-purchased HTC One M9, then below are a few heavy duty cases for HTC One M9 that we think are the best in class. The Caseformers Duo Armor case doesn’t just brings in extra rigidity to your HTC One M9, but also brings in style. The Duo Armor cases feature a silicone layer that gets round your HTC One M9 and also features a polycarbonate cover that sits on top. It hence features a grooved design to improve grip and also the rocks can be unfolded to act as a kickstand to get an immersive experience while watching videos or similar activities. The Urban Armor Gear is very well known for its sturdy and robust heavy duty cases. Its own composite hybrid case gives your HTC One M9 with great resistance to impact without adding much on size or heft. This case even meets military standards when it comes to drop protection and has one of the best and unique case designs. It is made of a hard plastic shell which is then grouped with a high impact resistant central core that works together to give military grade impact protection to your HTC One M9. The ArmorBox heavy duty case for the HTC One M9 by i-Blason gives a rugged look and premium protection to your HTC One M9. The case features an inbuilt screen protector and also has corners that are reinforced, thus protecting your HTC One M9 from even the worst crash landings. The ArmorBox case features a dotted inner TPU core, which according to i-Blason, absorbs the impact upon happening. However, the outer shell resembles the UAG’s composite hybrid case and gives the best grip and feel, thanks to the textured polycarbonate material used, which is highly durable as well. The edges feature a good-looking tire tread like design, giving the case a bit more edge. The Supcase Rugged Holster case features a double layered hybrid back cover along with an inbuilt screen protector. The ports are covered so as to prevent dirt or debris from entering the ports, when not in use. The case also features a holster that has a rock-solid clip which can be rotated a whole 360 degree for the best comfort. The Roocase Glacier Tough Hybrid case features a rather transparent back design, yet offers great impact and scratch protection for your HTC One M9. The back panel is made of scratch resistant acrylic material that helps in showing off the brushed aluminium look of your HTC One M9. It also features a tough TPU side bumper that goes around the edges for greater impact resistance. The screen protector featured is a 5H design, built right into the front panel protecting the screen on your HTC One M9, always. 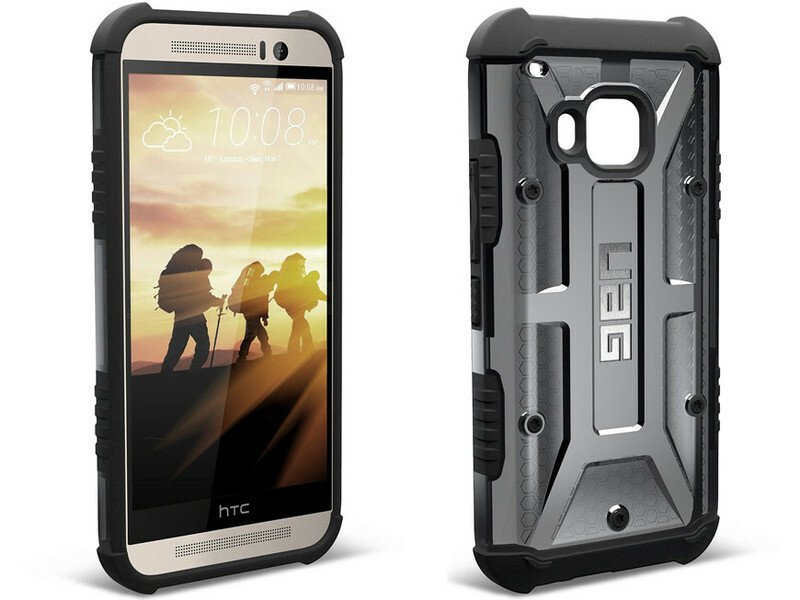 Well, these are some of the best heavy duty cases for the HTC One M9. I hope you found this list helpful. If you did, then please do not hesitate sharing it with your friends as well. It is not a good phone. I am using it. Please dont buy it.